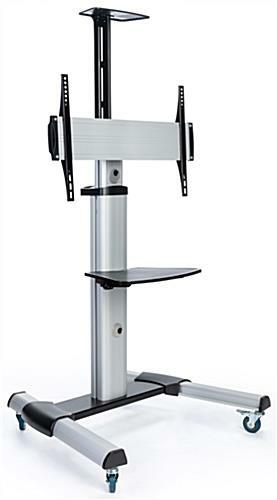 This rolling TV stand for flat screen TV is constructed from durable aluminum alloy with a silver finish and is built to last. 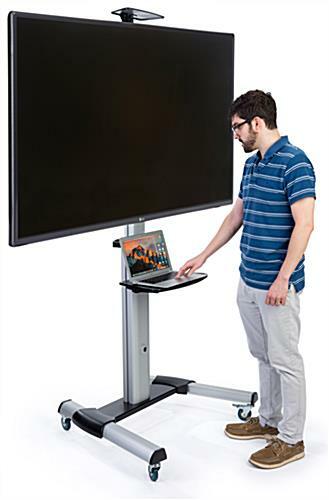 Each monitor mount has a sturdy build and comes with wheels for easy movement around classrooms, offices, or trade shows. 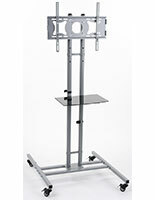 The included AV shelf makes the versatile TV stand perfect for holding DVD players, cable boxes, or other equipment. 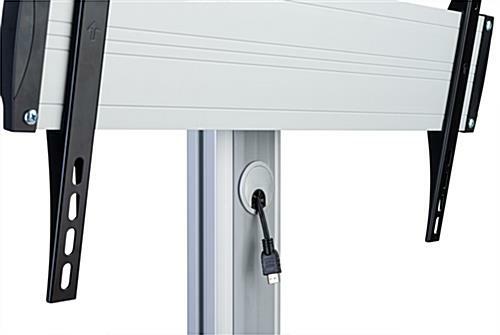 Cable management through the monitor mount offers an organized solution for hiding unsightly wires and helps avoid taking attention away from your presentation. 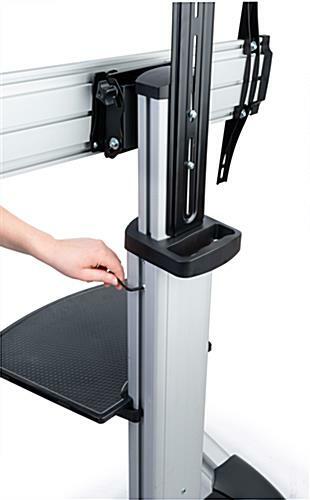 Slide the TV stand around on the lockable wheels or adjust the height via Allen key to choose the best viewing experience for the environment. 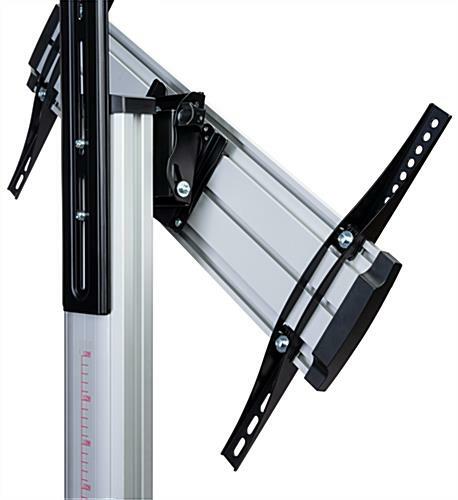 Get a VESA compatible bracket for your next event to effortlessly display a presentation, video, or slideshow with ease and professionalism. 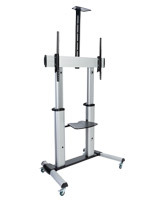 Our church needed to purchase a cart that would allow members more flexibility in using a new 55" Vizio LED Television. 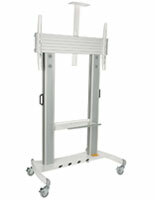 This cart would be used for a variety of meetings and gatherings in all areas of the church. 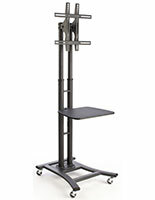 We looked for a cart that was reasonably priced, well built, very stable, with no fear of it tipping over. 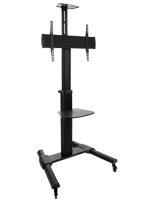 We found it all and more with the purchase of the TEL6X4SV TV stand. 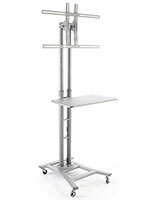 This stand is made with attractive brushed aluminum with a lower adjustable shelf for either a computer or DVD player and an upper shelf for a camera or antenna. 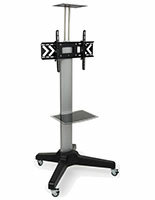 Bolts and parts were well labeled and with the clearly detailed assembly instructions that were provided, the stand was together in no time. Great product. Well built. Reasonably priced. Joel, thank you so much for taking the time to write this excellent review! 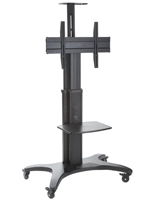 We strive to provide products that are high-quality, versatile, and easy-to-use, and we're so happy that you found this TV cart to be perfect for your church's needs.